On the occasion of the World Health Day……and the Arunachal’s lifestyle and food practices in tandem with the surrounding habitat……. 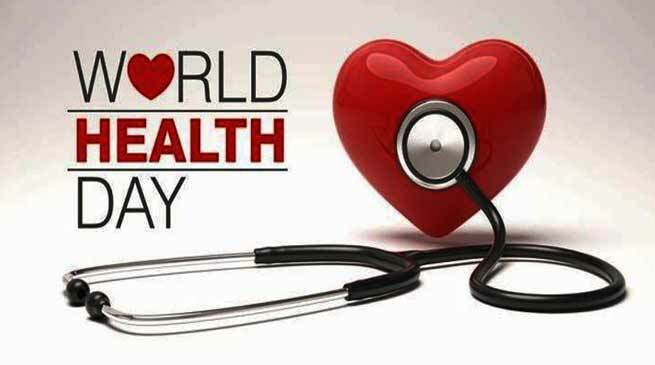 The World Health Day is a global health awareness day celebrated every year on 7 April, under the aegis of the World Health Organisation. On this day let’s focus on the aspect of health that is in our hands. Arunachal has its lifestyle and food practices in tandem with the surrounding habitat. This may be gradually fading away with globalisation and cross-culture influences from the west, coupled with the stress people are adding to their modern lives. From a public health perspective we are currently facing a double burden of disease i.e. we are still dealing with the struggle to reduce infectious diseases, vector borne diseases like malaria and dengue, maternal and child health issues but added to it is the gradually increasing lifestyle, chronic diseases like diabetes, heart diseases due to rising sedentary lifestyle. The Honourable Prime Minister, Narendra Modi, while visiting the State in February stressed on universal health coverage, and that good quality healthcare should be affordable. The State has already prioritised the inclusion of NCDs as a major component of healthcare in Arunachal. Recently, the Sports Department organised ‘Run for Sports’ a ten kilometre run to promote sports and healthy lifestyle. Reducing lifestyle disorders can only be possible if it is taken up as a people’s movement to lead a healthy lifestyle. The focus should be more to improve the more vulnerable population of adolescents and women. The myth that lifestyle disorders are caused only among men is obsolete. Globally, the issues affecting women’s health have undergone a drastic change, and currently lifestyle disorders are the leading cause of disease for women worldwide. According to the WHO the leading cause of lung diseases among older women, often resulting from tobacco use, or exposure to indoor air pollution caused by the burning of solid fuels for indoor heating and cooking. Looking ahead, we need to create a supportive environment for adolescents for a healthy living. It has been shown through research that regular physical activity in early life leads to better health status in adulthood. Physical inactivity can lead to increased risk of diseases like diabetes, heart disease and strokes. Overweight adolescents in most cases turn into overweight adults. Adolescents should be moderately or vigorously active for about 60 minutes per day. There is a need for developing state policies as well as individual measures to create more adolescent friendly spaces which encourage more physically active youth. Many State departments like education, social welfare, mother and child development, youth affairs, and the public works department need to come together for creating such holistic policies that will be inclusive of sports and physically active life and not merely robotic school-going children. The impetus on educating people and providing behavioural change communication to lead an active lifestyle and adopting healthy eating behaviours is important for achieving good health for all. Madhu Raghavendra is a public health professional and poet.